Careful With That Axe, Eugene: Book Review: A. Lincoln by Ronald C. White Jr.
Abraham Lincoln is considered by many, including me, to be one of the greatest leaders of all time. Many biographies have been written about him, as well as many books about the American Civil war. This is the second biography of Lincoln that I have read - seven years ago I read Jan Morris's "Lincoln: A Foreigner's Quest". This (rather light-weight) book left me wanting to read more about Lincoln, but it has taken me quite a while to get around to it. 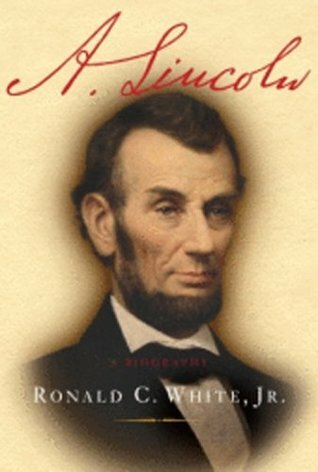 Ronald C. White Jr writes a fantastic account, not just of Lincoln's life, but there is also some fascinating examination of the words and prose of Lincoln's most famous speeches. 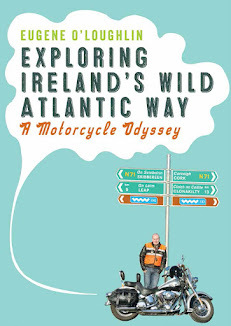 For popular history readers, this is an easy to read book. While it has over 60 pages of references at the end, it is not too academic and is written with lightness in mind. This book should have a wide audience, even for those who are familiar with Lincoln's life and death. White does not over dramatize anything - even Lincoln's assassination which is described in just one page. While Lincoln is remembered for preserving the Union and freeing the slaves, White also paints a picture of a man who changed his opinions as war ravaged the country and slavery became more central to victory or defeat. However, White also points out (p276) that in 1858 Lincoln stated, in a debate with his rival for the presidency Stephen Douglas, in Charleston "I am not, nor ever have been, in favor of bringing about in any way the social and political equality of the white and black races, that I am not nor ever have been in favor of making voters or jurors of negroes, nor of qualifying them to hold office, nor to intermarry with white people". By the end of the war he had emancipated the slaves, even though by today's standards the above statement would be regarded as an extreme form of racism. Lincoln's speeches still resonate today, and are expertly dissected by White. In his short (10 sentences) Gettysburg address he concluded: "that this nation, under God, shall have a new birth of freedom—and that government of the people, by the people, for the people, shall not perish from the earth". Oh how I wish that leadership of this quality was in evidence in poor old Ireland today. In his inauguration speech in 1865 Lincoln is also famously quoted as saying "With malice toward none; with charity for all; with firmness in the right, as God gives us to see the right, let us strive on to finish the work we are in; to bind up the nation's wounds; to care for him who shall have borne the battle, and for his widow, and his orphan—to do all which may achieve and cherish a just and lasting peace, among ourselves, and with all nations". Hugely emotive words that Ronald White describes as Lincoln asking his audience to "enter a new era, armed not with enmity but with forgiveness". While this was said after the end of the Civil War, and we are not at war in Ireland today - I think that our future leader, whoever he or she is, could do worse that read Abraham Lincoln's Gettysburg address and his 1865 inaugural address. For that matter, they should also read this book by Ronald White - inspiration and leadership are on every page.